Saint Francis School opened its doors in 1893. 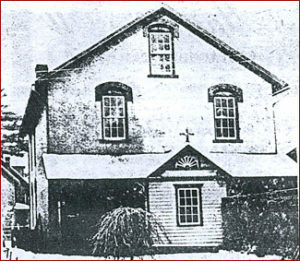 It was located on the land now occupied by the church parking lot. The sisters of St. Joseph were placed in charge of the school. During its first decade, the school proved viable and was ready for larger facilities. A new school, made of Clearfield brick and housing five classrooms; an auditorium; and a kitchen were built at a cost of $20,000. The weekly newspaper, The Clearfield Republican, described it as one of the most modern and comfortable school buildings in the county. Classes began in the new building in November 1904. In 1908, Sister Marie Francis became the school’s second principal. During her 25 years as principal, the school matured both academically and athletically. Full academic and commercial courses were developed, and in 1919, the high school was certified by the Department of Public Instruction. By the late 1920s, Saint Francis School was ready to expand once again. More classrooms were needed, so the auditorium was sacrificed. 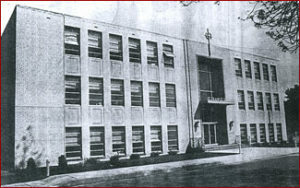 In 1957, a complete overhaul of the building was begun. Five new classrooms, a new library, a new kitchen, two offices, a health suite, a gymnasium/auditorium, and the familiar facade the school has today were all constructed. The necessity of the expansion was highlighted by 1963 enrollment figures which had been the highest in Saint Francis history: 358 grade school students and 141 students in the high school. In 1974, many operational and structural changes began. A school uniform was introduced, a kindergarten program was started in 1976, and as an economic necessity, Saint Francis began charging a tuition fee. Structurally, the school began another major construction project. A wing on the south side of the school was built to house a new library and a new cafeteria. 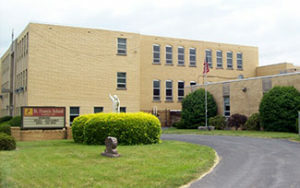 Many changes have taken place since that day in 1893 when three sisters first opened the doors to Saint Francis School. There is no longer a high school, but the school now houses Preschool through grade eight. The faculty has increased to twelve full-time and three part-time teachers. Technology has become an important part of classroom instruction. Classes are offered in music, art, library, religion, technology and physical education. Students take classes in four different languages and cultures. With all the of the changes in faculty, facilities, and curriculum at Saint Francis over the years, the factors that makes Saint Francis school special has not changed since 1893. The core of the school is still built on the foundations of Christian values and faith. When you enter St. Francis School, you become part of our family.